Kobelco at Intermat - what to expect - Kobelco Construction Machinery Europe B.V. This year Kobelco is exhibiting 17 machines. Among the range of the excavators, visitors will have an opportunity to see a few featured machines like ED160BR-5 Blade Runner, demolition machine SK400DLC-10 and our hybrid excavator SK210HLC-10 in a signature silver colour. 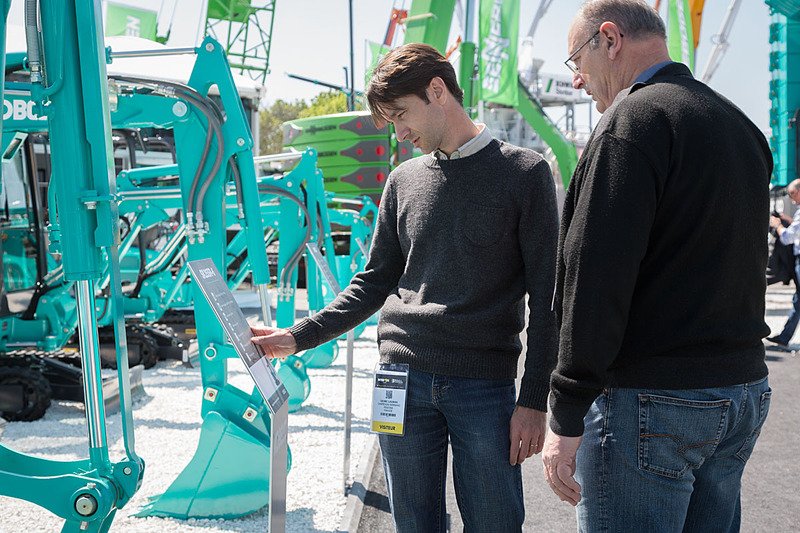 Kobelco staff and dealers, present at the trade show, will be happy to provide you with the information about the machines and technological advancements. Our Operator’s Bar will open its doors to all the visitors who want to enjoy a meal or refreshment either inside the building or at the outside terrace. And while strolling through our stand, why not pay a visit to Kobelco Fanshop. This is a unique opportunity for you to see and buy our merchandise: workwear, accessories, gift items as well as scale models. Click on the link to visit the product page for machine specification and brochure.